My commiserations to you. If Google has brought you here because you’re not able to deploy Skype for Business monitoring reports, I have some bad news for you. You’ve just tried to deploy reports to SQL 2014 Web Edition – and that’s not a supported version. 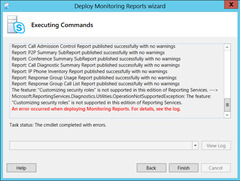 Microsoft.ReportingServices.Diagnostics.Utilities.OperationNotSupportedException: The feature: “Customizing security roles” is not supported in this edition of Reporting Services. 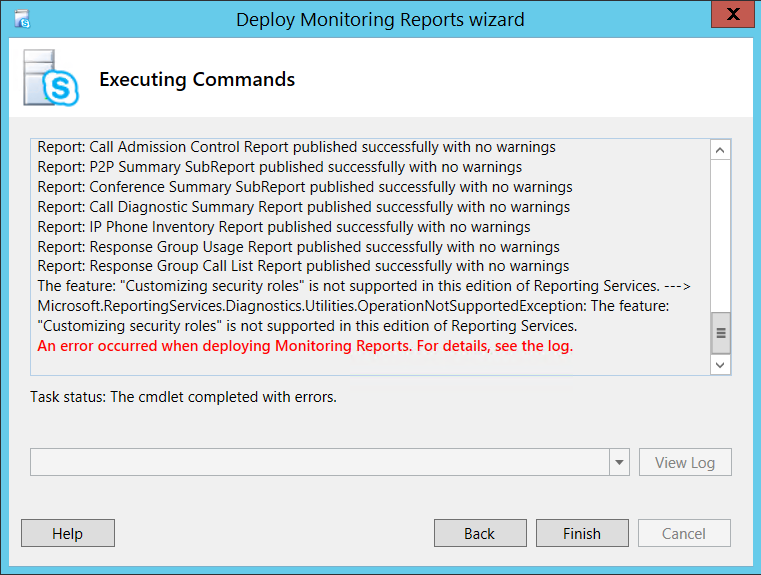 An error occurred when deploying Monitoring Reports. For details, see the log. (I have no idea where it hides the log).